Tuesday, March 8, 2016 - It appears that the EPA has finally recognized the emergence of the super pest, Bt (Bacillus thuringiensis) resistant rootworms, and this has led the government to consider recommending changes to GM corn cultivation. Specifically, the EPA is suggesting that, after two years in a row of GM corn being grown, approximately 35 percent of corn-fields should be planted to a different crop. They say that this will prevent farmers from engaging in excessive use of environmentally harmful pesticides, drenching even more of the toxins on the corn in an effort to destroy the rootworm. In spite of the fact that rootworms are destroying even GM corn crops, Monsanto’s website still states, "Field monitoring of these products, which Monsanto has conducted since these products were first introduced, demonstrates an outstanding level of performance and grower satisfaction on greater than 99.8 percent of all acres planted to the technology in the United States." This is another example of “everything old is new again”. 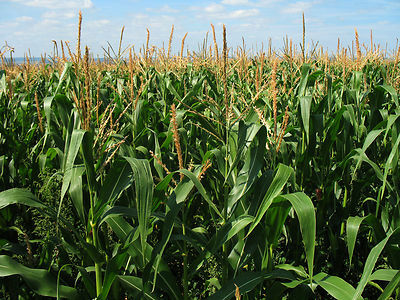 In essence, the EPA is recommending crop rotation; a time honored technique that controls the devastating corn rootworm as well as many noxious weeds with no or minimal use of pesticides. This new advisory is an indication that the highly touted GM/glyphosate experiment is a big flop. While I agree with Mr. Epperson’s view on government intervention (see above), I don’t think he, or others of his ilk, recognize that their indiscriminate use of toxic chemical is potentially dangerous to those of us forced to eat his product. Maybe we should label GM and glyphosate contaminated food.